On Tuesday, I live-tweeted from the Bronx Board of Elections as the case challenging the residency of well-heeled insurgent Democrat, Michael Alexander Blake got under way. Blake, a former Obama White House and campaign aide, is running for the 79 AD vacancy. Ex-assemblyman Eric Stevenson was forced to resign after being convicted of corruption charges in federal court earlier this year. Like the swallows to Capistrano, elected officials, challengers and lawyers returned to the Bx Bd of Elections in the past few weeks. The Arroyos, Mike Blake, CM Andy Cohen, Sarah Steiner, Assemblyman Jeffrey Dinowitz, Stanley K. Schlein, Robert Harding, Richard Soto, Egidio Semeteilli, party apparachiks, and assorted insurgents. The residency case involving Michael Blake was the first up on Tuesday. The hearing began late as the special referees and their court officers arrived 30 minutes late. In a surprise move, the Bronx Iron Horse, ace elex lawyer Stanley K. Schlein recused himself from the Blake residency case. His replacement is a tanned and handsomely coiffed Robert M. Harding of Greenberg Trauig fame. Schlein recused himself because he and Blake had met earlier this year to discuss Blake’s candidacy and possible impediments. Jaws dropped when Harding took his seat on the plaintiffs side of the table. 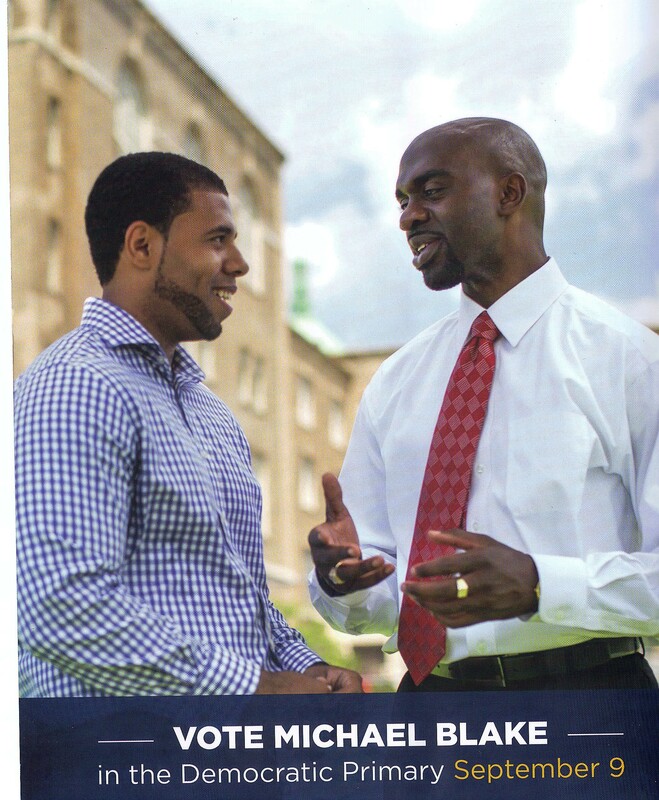 Attorney Harding got Blake to admit on record that he filed 2009, 2010, 2011, 2012 NYS nonresident/part-time tax returns around time petitioning for his 79AD candidacy began (06/26/2014). Hmm. It was fun time when Blake revealed that his tax preparer is really named, *Wonderful* Watson. Not so wonderful since advising him to file NYS nonresident/part year resident tax forms. When Harding asked if he filed nonresident tax forms, Blake emphasized that he filed “part year resident” tax returns. 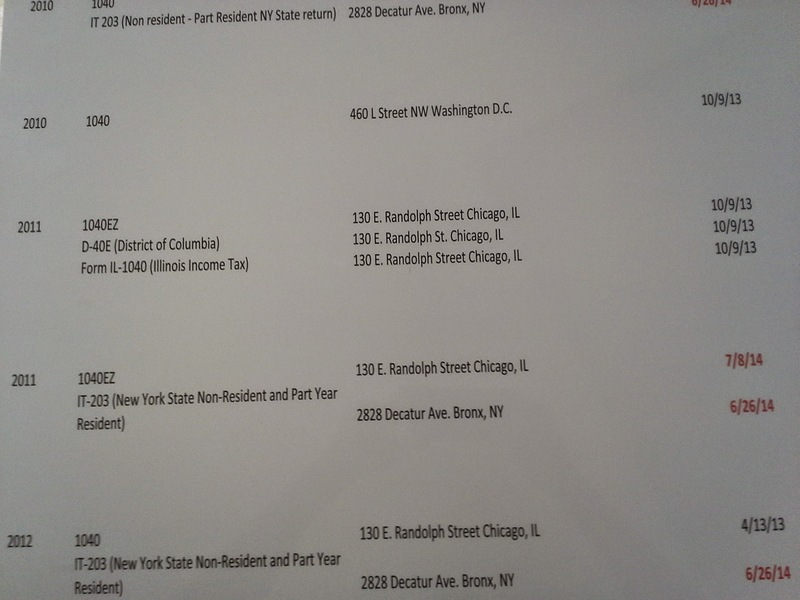 Thus, Blake filed NYS nonresident/part yr resident tax forms, 2009-2012. Harding introduced evidence of Blake’s federal, NYS and District of Columbia tax filings and amended tax filings. Blake did not offer a credible answer. The record also shows that Blake voted from his mom’s Decatur Av home three times in 2013. And he voted in DC at least three times, 2010-2012. Blake’s convoluted and late tax filings in NYS have brought him an avalanche of thousands of dollars in back taxes owed. As well as unnecessary damage to his credibility and reputation. 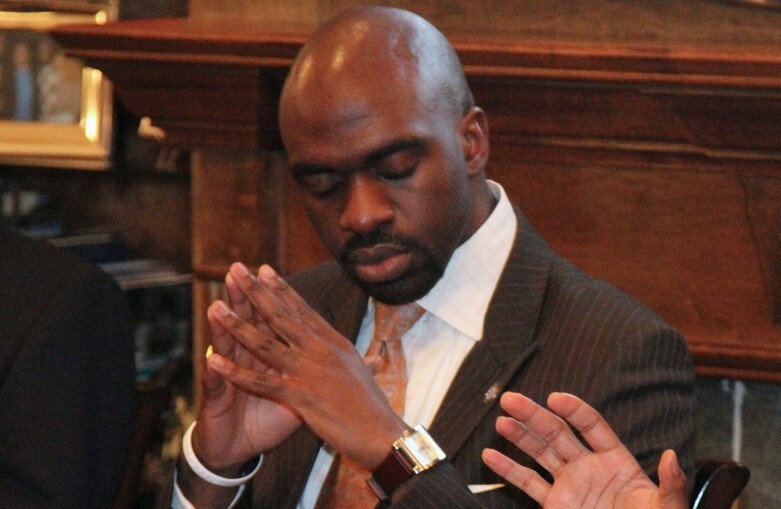 All for a state assembly seat in the Bronx (!) and the opportunity to serve in Albany six months a year. By the end of next week, Blake could find himself off the Democratic primary ballot, owing thousands of dollars in back taxes and owing an explanation to his financial backers and fellow Obama alumni. In a last-time fundraising appeal, Blake accused his opponents of engaging in political trickery and standing in the way of another Obama-style insurgent candidacy. But it appears that Blake could be accused of a kind of trickery and sleight of hand of his own in order to establish a NYS residency. No matter, Blake’s attorney Sarah Steiner predicted that they would take the case all the to the State Court of Appeals, if necessary. With Blake’s political future on the line, I have no doubt he’ll go to federal court. In other news: Angel Molina withdrew his candidacy against long-time incumbent Carmen Arroyo (84 AD). And insurgent Elliot Quinones may lose his bid against State Senator Rev. Ruben Diaz Sr (32 SD). A third insurgent, Rev. Marks is pressing her case to disqualify County candidate, LaToya Joyner (77 AD). 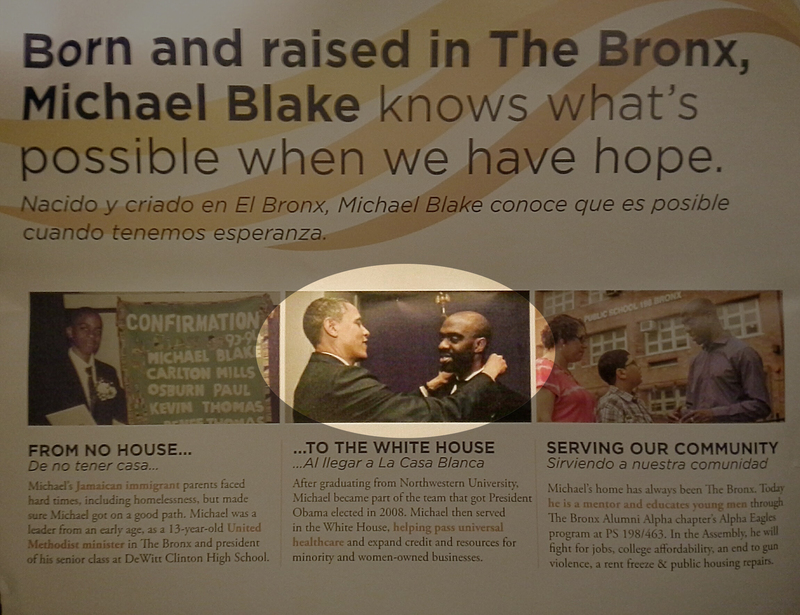 Image | This entry was posted in African Americans, Elections, Politics and tagged bronx, marsha michael, Michael Benjamin, michael blake, NY State Assembly, President Obama, Robert Harding, Stanley Schlein. Bookmark the permalink.